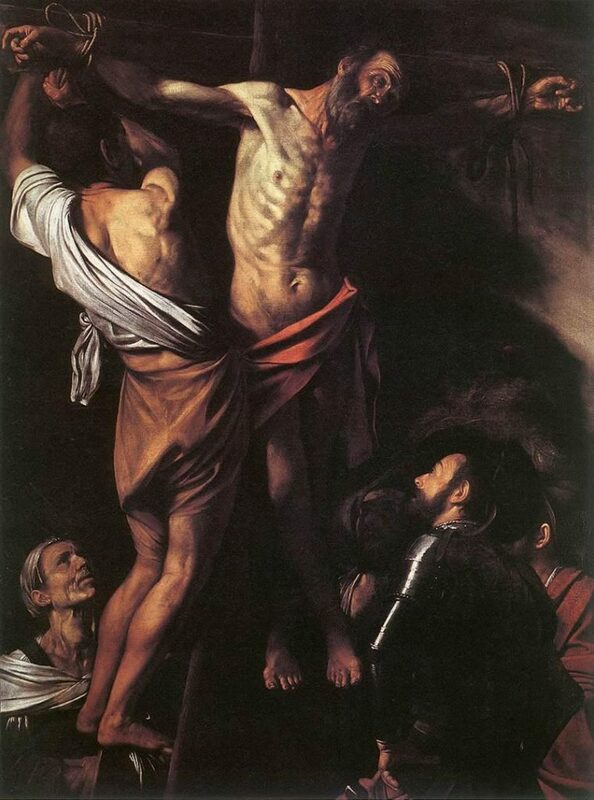 “What shocked people in his lifetime was Caravaggio’s unrelenting realism. Contemporaries complained that his Mary Magdalene looked like the girl next door drying her hair alone at home on her night in. The church that had commissioned his ”Death of the Virgin” locked it away, presumably because death was all too obviously the end for the beautiful sensuous girl laid out in her tight-fitting red dress at the center of the composition with not so much as a redeeming cherub or a heavenly sunbeam in sight. The model was in any case easily recognisable as a local whore.” Hilary Spurling’s review of M the Man Who Would Become Caravaggio, March 5, 2000. Baroque architecture was filled with melting decorative embellishments and wild illusionistic geometries. Baroque music contained complicated compositions and complex flourishes of sound. Baroque painting and sculpture took a slightly different path. Though dramatic and theatrical like the other arts of the time the visual arts were also guided by hyper-realistic portrayals of figures, spaces and light. Baroque painting was “hot” as McLuhan described media – rich in sensory information, tight compositions and spotlit realism. And this new hot “reality” differentiated Baroque painting from the cooler theoretical processes, elongated spaces and surreal compositions of the Mannerist era. “Stella conceived of his abstract “figures” above all as a means of creating and articulating a viable new space, one that could compensate non-figurative painting for the space choked out of it by medium-oriented painters in the decades following Abstract Expressionism. “The crisis of abstraction,”Stella insists,”followed from its having become mired in the sense of its own materiality, the sense that the materials of painting could and should dictate its nature. 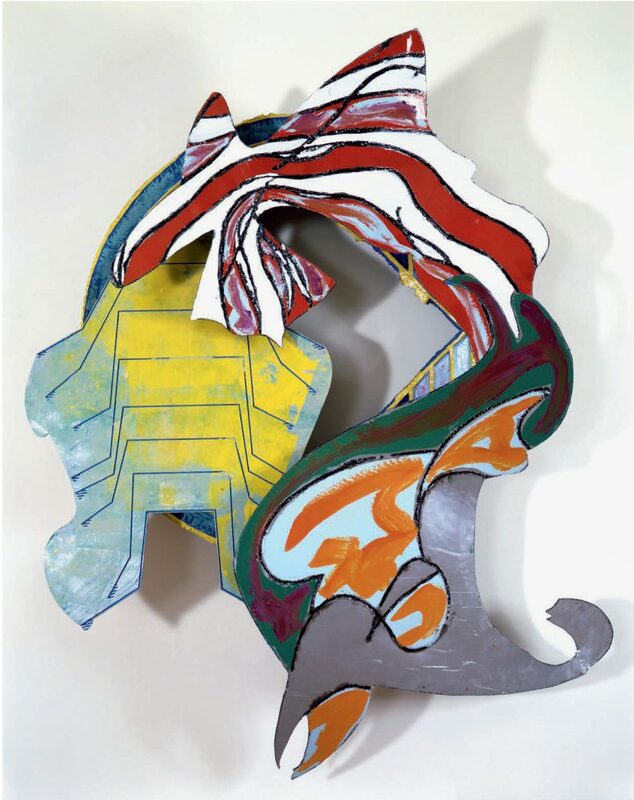 That’s not enough, and the belief that it was was killing painting.” William Rubin writing on Frank Stella’s MOMA retrospective, 1987.